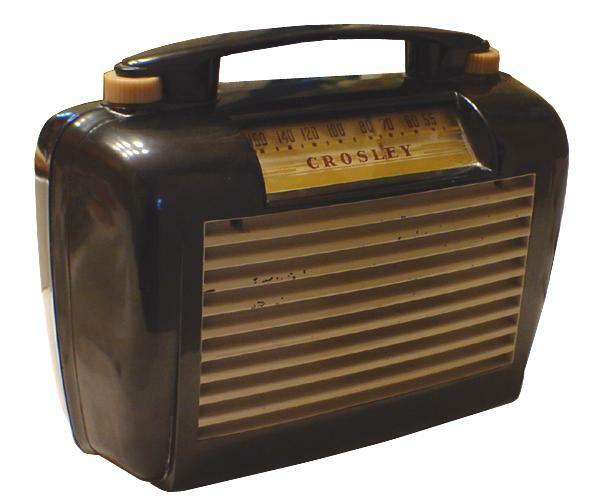 The shiny black bakelite Crosley portable turned up at a nearby antique mall. My example managed to survive many decades and still retained a spectacular all-bakelite case with not one crack or chip! The 4-tube radio just needed a few faulty tubes and some shorted capacitors replaced.